* The advertised Lease is a rental-purchase agreement for new merchandise. Unless you exercise your Early Purchase Option, to acquire the merchandise you must make 52 weekly payments of $14.00 (plus tax & delivery), for a $728.00 (plus tax & delivery) Total Cost/Total of Payments. This includes a $332.49 Cash Price3 and a $395.51 Cost of Rental. This headboard is embellished with handcrafted diamond tufts, upholstered in luxuriously soft velvet. Its contemporary silhouette is sure to add style to any bedroom. 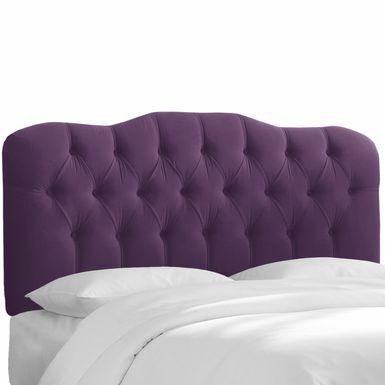 This headboard is embellished with handcrafted diamond tufts, upholstered in luxuriously soft velvet. 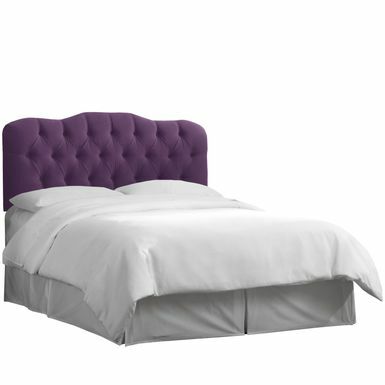 Its contemporary silhouette is sure to add style to any bedroom. Enjoy the royal feel of this stunning headboard. Featuring a traditional style and the ability to attach to any standard bed frame, this headboard is adjustable in height to meet the requirements of even the thickest mattresses. The durable construction and timeless beauty of this headboard ensure many years of continued use. Since this item is made to order, please allow 1-10 days for production time and quality checks before the item leaves our warehouse. You may only cancel a made to order item within 24 hours of submission. Due to the unique nature of this product, we are not able to accept returns. For additional return information please contact our customer service team.